As a Little Caesars franchise, you’re committed to supporting and protecting your brand – and growing your business. Paycor can help drive your success with intuitive HR, payroll & compliance solutions. We understand the unique needs of Little Caesars franchises. Improve your operational workflow by integrating your point-of-sale system into our Perform payroll platform. Only Paycor offers a specialized sales and support team for Little Caesars franchises. Our sales executives, client service specialists, and implementation team knows your business and are there when you need them. 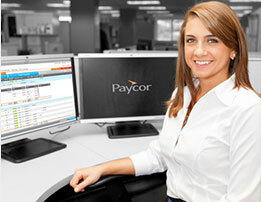 "Paycor is the easiest vendor I have to work with. I really don’t have to worry about anything it’s handled by Paycor." Paycor offers a sales and support team dedicated to Little Caesars franchises who understand your business needs.